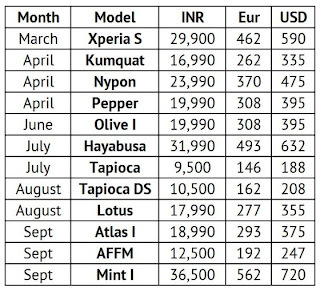 A leaked sales report from Sony India has revealed the company’s 2012 smartphone lineup, complete with device codenames and their prices. While we’ve heard of some of the devices, like the Nypon, Kumquat and Pepper, in the recent past, the rest are new, with one of them the much-awaited Xperia Play 2. Tying in with previous leaks, it looks like the Kumquat (Xperia mini successor), Nypon and Pepper (Xperia Neo V successor) – which are scheduled to release in April – will be unveiled at MWC in February. 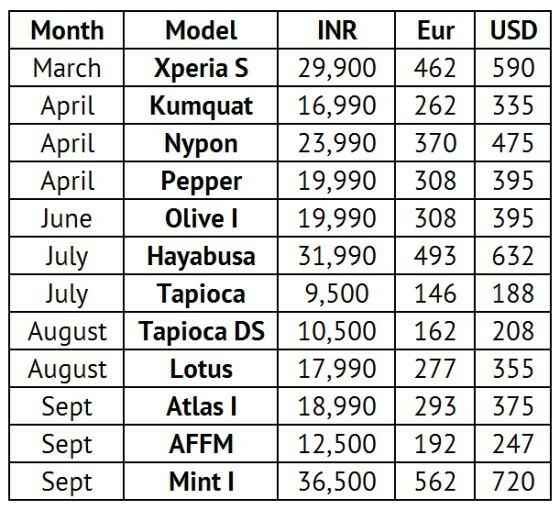 The Hayabusa and Mint are two other devices that stand out of the 12 new handsets in the leaked report, with their high prices indicatinh flagship status. One of these might just turn out to be the next version of the Xperia Play. Stay tuned for more information about these new Sony Android mobile devices – we’ll keep you updated about any further leaks, or official announcements from the Japanese giant.